Medium sized Agave with long, thin, and typically undulate leaves. These are glossy, with a paler central band, beautifully speckled, with white leaf margins. It grows at 1500-1900 m in Mexico and can stand down to -12 C if kept dry. 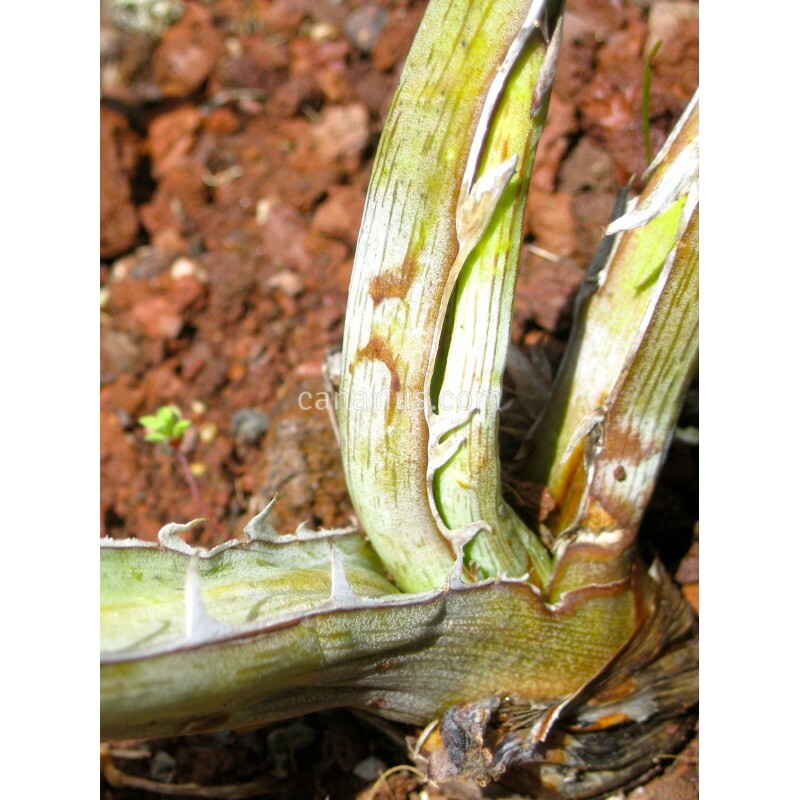 Medium sized Agave with long, thin, and typically undulate leaves. These are glossy, with a paler central band, beautifully speckled, with white leaf margins. Agave difformis is morphologically similar to Agave funkiana and A. lechuguilla. It grows at 1500-1900 m in Mexico and there it is locally abundant in one small area in Hidalgo, and very rare in San Luis Potosí. It can stand down to -12 C if kept dry.